Friday brought three impressive new deals for those looking to buy a new iPhone or jump ship from their current carrier, with Best Buy knocking up to 35 percent off of on-contract iPhone 5s sales, MacMall pricing the 5s at $120 and AT&T offering up to $450 per line to customers who switch from rival T-Mobile. Update: MacMall will also be running a special limited-time-only iPhone promotion for the new year, with the 5s priced at $119.99 and 5c free on contract. More details below. Best Buy's iPhone 5s sale, which runs through Jan. 4, brings the 16-gigabyte flagship handset down to $124.99 when purchased with a two-year contract. The 32-gigabyte model retails for $224.99 with the promotion, and the 64-gigabyte variant checks in at $324.99. 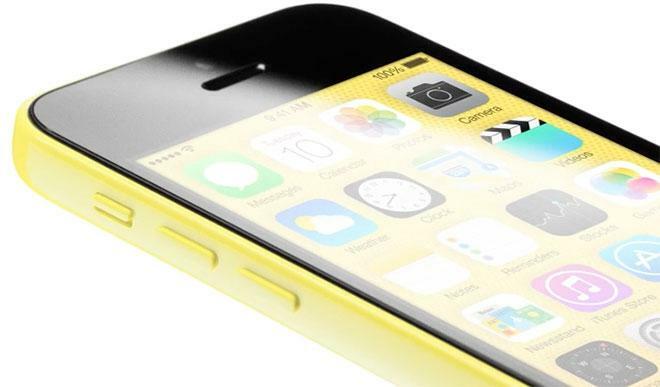 The retailer is also discounting Apple's mid-range iPhone 5c— a new two-year deal will net customers one of the plastic-backed handsets for free. Like the iPhone 5s sale, the iPhone 5c promotion is only valid until the close of business tomorrow. AT&T, meanwhile, has taken its ongoing battle against rival GSM carrier T-Mobile to a new level. Beginning today and continuing for a limited time, Dallas, TX-based AT&T will give switchers up to $450 in service and device credit. T-Mobile customers who trade in their current smartphone will receive an AT&T gift card worth up to $250— AT&T says that each device's trade-in value will be determined separately, but "many of the latest and most popular smartphones" will earn the full $250. Customers who port their T-Mobile number to an AT&T Next plan, purchase a new device at full retail price, or activate an existing device will receive an additional $200 credit for each activated line, though they will need to wait up to 90 days to receive the subsidy. AppleInsider sponsor MacMall is also running a New Year's sale for Apple's latest handsets. The reseller is offering the iPhone 5s for only $119.99, while the 5c will be available for free, with a two-year Verizon contract. Promotional pricing is good only through this weekend.